This #ThrowbackThursday story originally ran as the cover for the February 2007 edition of North Mississippi Christian Family. 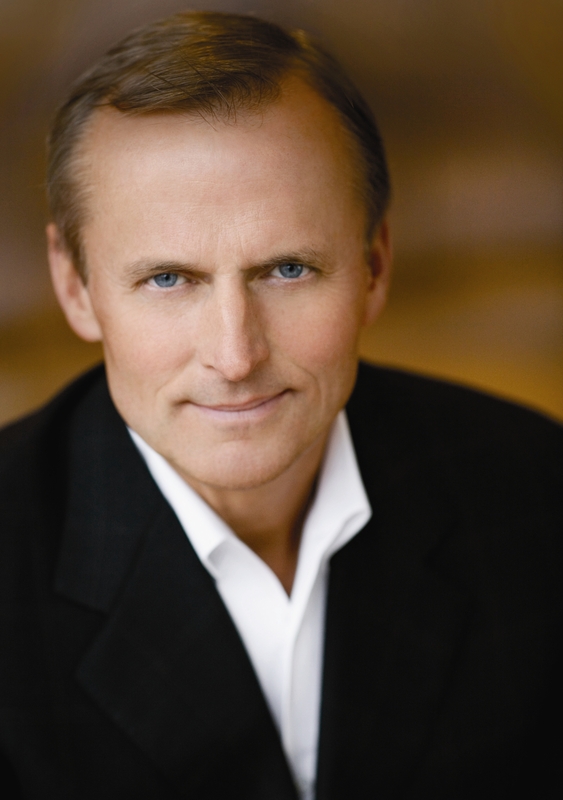 I met John Grisham for the world’s fastest interview at Turnrow Books in Greenwood, Mississippi…. One of Mississippi’s most celebrated author’s says he could never write a book he would be ashamed for his mother to read. Grisham said one of the reasons his books sold early-on was that people realized that they can give one to a 15-year-old kid or an 80-year-old mother and not have to worry about foul language. His mother played an important role in Grisham’s life and faith. John and Wanda Grisham were the type of family that had their five children in church “every time the doors opened.” The Grishams were a close-knit Baptist family, with very devout parents. As in many small Southern towns at that time, church was an important part of community life. The church was an extension of the family. The Grisham children were at every service, revival, summer camp, and Vacation Bible School in their community of Jonesboro, Ark. Grisham said his mother ran a very tight ship, and passionately wanted her children to love the Lord. It was a natural progression for Grisham to dedicate his life to Christ at the age of eight, under the guidance of his parents and his minister. John and Renee Grisham have two children, Ty and Shea. They split their time between their Victorian home on a farm in Oxford, and a plantation near Charlottesville, Va.
Wanda Grisham is proud of her son, John and his family. And why shouldn’t she, there are over 60 million John Grisham books in print worldwide, which have been translated into 29 languages, according to Doubleday Broadway. Even though John dreamed of becoming a professional baseball player, God had other plans for his life. Since The Firm became the bestselling novel of 1991, Grisham has produced a novel a year, creating bestseller after bestseller. Some of his titles include A Time to Kill, The Rainmaker, The Pelican Brief, The Client, The Chamber, The Runaway Jury, The Partner, The Street Lawyer, The Testament, The Brethren and Skipping Christmas. Most recently, Grisham has produced his first non-fiction book, The Innocent Man, released in October 2006. The book is about a death row inmate exonerated by DNA evidence. Grisham chronicles the life of Ronald Keith Williamson, who left his small town in Oklahoma in 1971 as a second-round draft pick of the Oakland Athletics. Williamson seemed destined for a major league career, until he was convicted and sent to death row for a murder he did not commit. Williamson came within five days of being executed by lethal injection. After 12 years in prison, Williamson was freed in 1999, but suffered with psychiatric disorders. He died at the age of 51 on Dec. 4, 2004. Grisham read the obituary in The New York Times and knew he had to tell Williamson’s story. So, with a new book on the shelves, Wanda Grisham has a lot to be proud of. But in John’s “spare” time, he and his family work to bring the love of Jesus Christ to people all over the world. Once or twice a year, the Grishams go to an area in Brazil on a mission trip. And it is an easy guess that mom is proud of the Christian tradition of evangelism John and his family are sharing with the world. John said they began going to Brazil when they lived full-time in Oxford and attended First Baptist Church. When they moved to Virginia for part of the year, they wanted to continue their mission work to Brazil. They worked with their local church to partner with the mission efforts of First Baptist Church of Oxford for mission trips once or twice a year. Over the years, Grisham has been able to parlay his passion for baseball into his mission work, by creating a baseball ministry for the children in Brazil. In addition to their mission trips, the Grishams also devote time to charitable causes, most recently the Rebuild the Coast Fund, created by the family to aid Hurricane Katrina victims. So, even though the Grisham children kid with their mother about “overkill” in the church department as they were growing up, Wanda Grisham didn’t do too bad. But her work is not finished. There are grandchildren and great-grands to influence. Even today, when Grisham talks to his mom on Sundays, she will ask if he went to church that day. That is a mother dedicated to passing on the love of Jesus Christ to her family. And there is nothing quite like the influence of a Christian mother. This is good information about what this man’s values are (and his family) — to put God first.